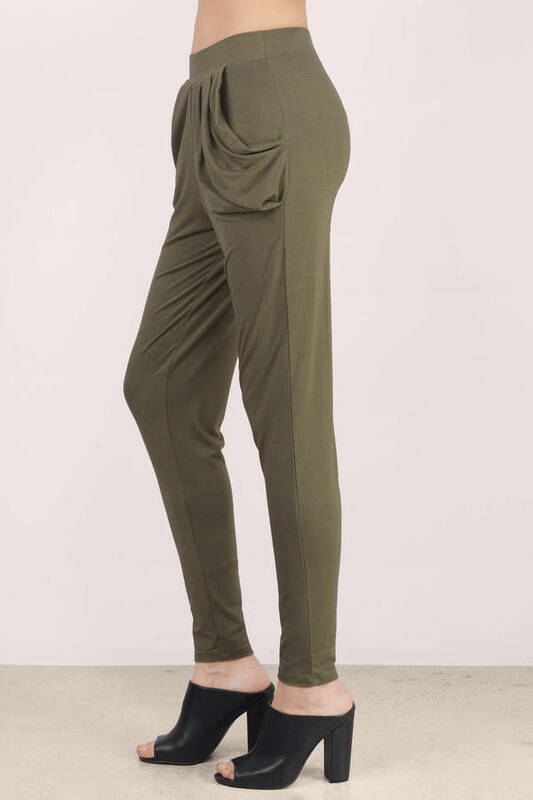 Check out Tobi's Sundaze Draped Jogger Pants Lounge around in the Sundaze Draped Jogger Pants. 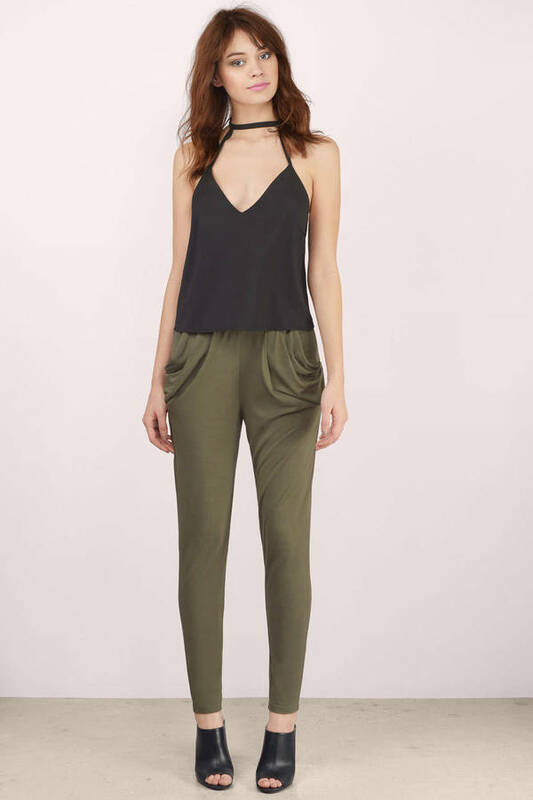 Jogger pants with draped pockets and skinny at the ankles. Wear with a ribbed tank and chunky sandals. Lounge around in the Sundaze Draped Jogger Pants. 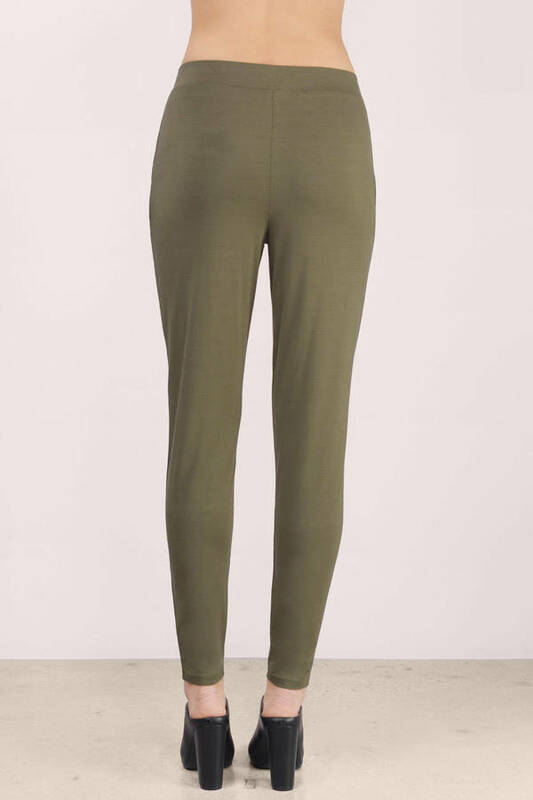 Jogger pants with draped pockets and skinny at the ankles. Wear with a ribbed tank and chunky sandals. Olive & Black modeled on a size Small.